Millennials are ready to cut the cord. They're willing to pay more for streaming services than traditional TV. But those services better be ready to meet their expectations. Modern viewers now require highly personalized content that puts them in control of their own viewing experience. For sports fans, this also means unlimited access to both live and archived games. To meet demand, streaming services need to utilize augmented reality, data visualization, and customization to provide maximum engagement. Major sports organizations are already offering streaming packages, like NFL Live or NBA League Pass. The MLB has developed a live streaming service and Smart TV app. And they’re all looking to do more. Here at STRV, we studied the market top to bottom and applied our know-how to meet our primary goal: allowing viewers to choose which live statistics they want to see – about players and the game – directly in the live stream. The result? Our Smart TV app beta concept. The amount of data our concept includes requires careful organization within a clear structure. First, the volume of options must remain manageable for users. And second, sports teams must have straightforward access to user data, like who watched the game and what their purchase history patterns show. This enables more focused sponsor targeting and authentic engagement - a great tool beneficial for both sides. The goal was to set up most functionalities and visible stats with 2-3 clicks. We chose to separate data into two “modes”, one of which further expands into sections. Coach Mode: Users are informed about how the current action, kick off or corner can be played in the best possible way via infographics. The selected stats can be seen immediately, and can be changed anytime during the match. Apart from what viewers can see, we also focused on how they can see it. Users have the option to watch from different camera angles throughout the arena, including baseline, center court, backboard, sidelines, and even a jumbotron view. They can also choose their preferred audio experience, including broadcast commentary or in-arena live sound. 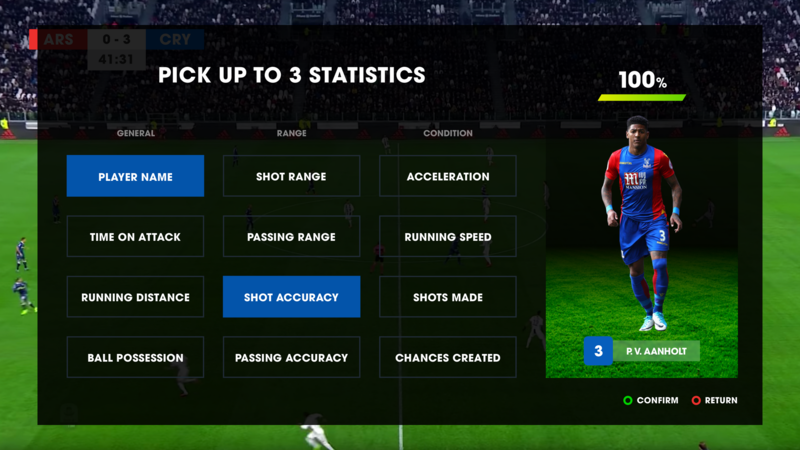 The in-game commentator feature allows the app to auto-generate facts and info about players in order to raise fans’ sport IQ. To ensure a flawless display no matter the mode or setting, we determined the optimal grid layout that is easy to browse at a distance and can be quickly navigated with a remote. The home screen is primarily used to show upcoming or current games. Alternatively, the area can be used for trending videos or highlights, for example. To keep it aesthetically pleasing, the menu is expandable. Beyond live streaming services, we focus on visual and brand consistency, as well as the entire fan experience. This includes implementing an e-shop, a social club meant for fan communication, social event schedules, and more. Basic consumption of content is outdated. Every evening on the couch now has potential to be a thrilling experience. In the UK, the number of families with Smart TVs grew from 12% in 2014 to 40% in 2018. Across the pond in the US, about 75% of all households have a smart set, smart device, or both - and those households now spend billions of hours watching content and using applications. Here at STRV, we are more than familiar with this shift. We’ve helped organizations like Tinder and Hallmark expand by developing Smart TV applications across all devices, including TV, Xbox, Apple TV, Android TV, RokuTV, and Amazon Fire. 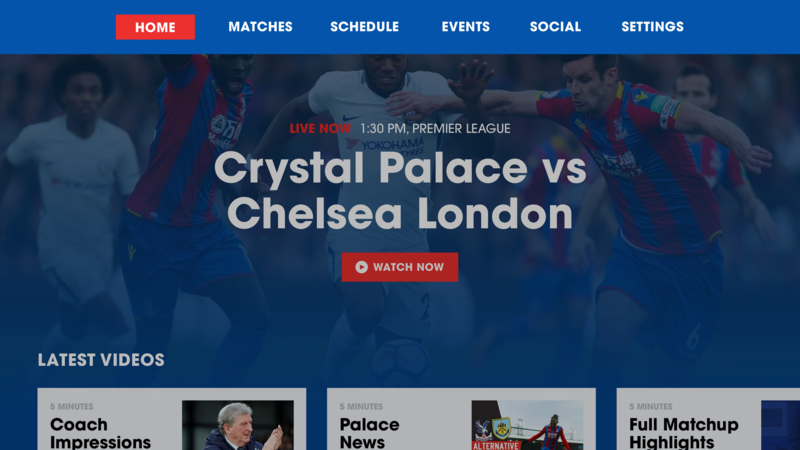 We’ve collaborated with sports teams to increase fan engagement by offering extensive premium content, subsequently unlocking new revenue streams. Our resume is strong. But, there’s always more to unlock. That’s why STRV’s future plans are simple: more devices, more functionality, more modes. Whatever is needed, our designers and engineers are ready. 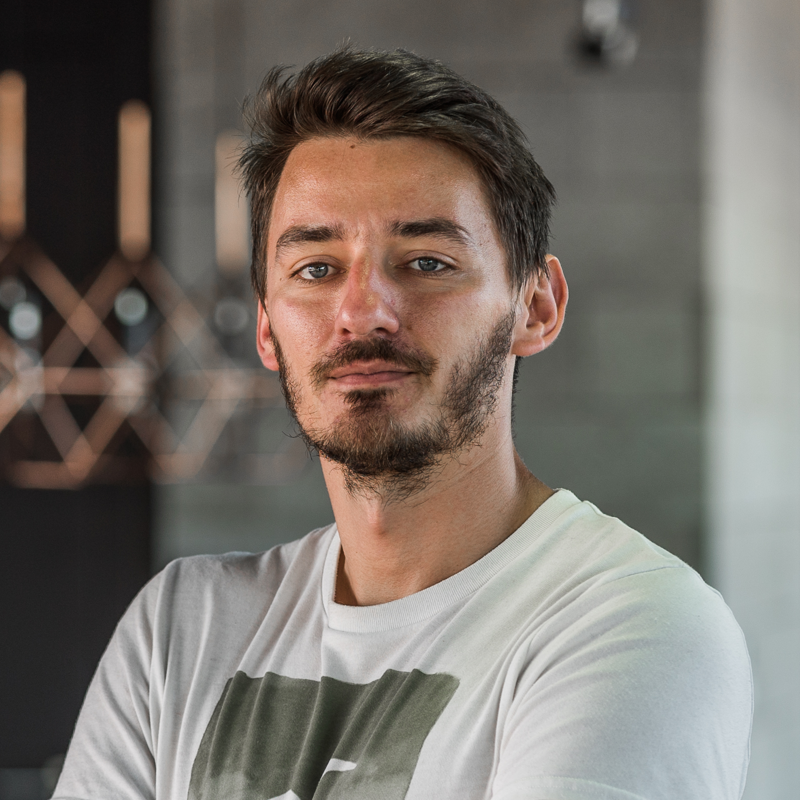 A serial entrepreneur, sports freak, traveller and proud member of STRV family.